Firenze Race Team has attended at MotorShow in Bologna, from the 2nd to the 10th of December. The experience at the fair has started on November 30th , when our guys went on board of our auto-van in direction of Bologna, with all the necessary to prepare the stand in Pad 16. 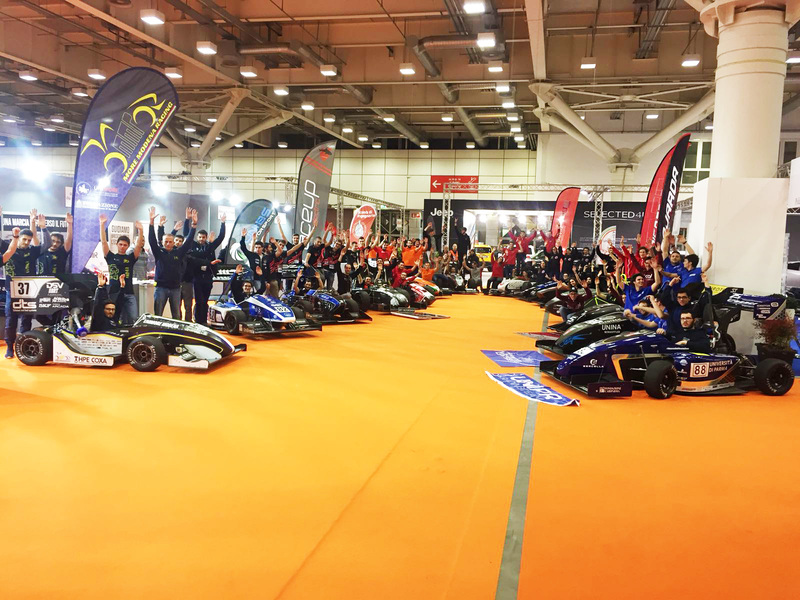 The 16 Pad hosted other italian Formula Student Teams from several universities of Italy. During the week would have been expected conferences, meetings and Digital Labs, with univeristary professors and companies from automotive sector, for all interested students. Also professor Giovanni Ferrara, from the Engineering Department of our University, held an open lesson titled “Fuel or Diesel? The Future will be Hybrid…not only thermal-electrical”. The lesson was focused on the propulsion of hybrid vehicles with the advantages that they present and a differentiation between thermal – electrical hybrid vehicles and HCCI (Homogeneous Charge Compression Ignition) hybrid vehicles, realized by the “fusion” of the characteristics of the ignition engine (typically Diesel) and the engine with spark ignition (typically Petrol). In the first part of the meeting there was a contextualization of what means the transformation of chemical energy (fuel) into mechanical energy, of the meaning of “efficiency of a motor” and of the efficiency differences typical of the Controlled Ignition engines or of the Spontaneous Ignition engines. After this type of analysis, the Professor has continued on the propulsion of hybrid vehicles, the advantages it has, and the differences between the hybrid electric-thermal and the hybrid based precisely on the cooperation between the principles of the gasoline engine and the Diesel engine. The lesson was very interesting and lively, witnessed by the many questions of the audience addressed to the Professor, pushed by the interest and desire to elaborate on these issues so current. During the same day we enjoyed in participating at the live of GlabRadio (you can find the whole radio-live here à link https://www.facebook.com/GLabRadio/videos/1563731120340356/). The Radio Host had devoted half of an hour to all Formula Teams. 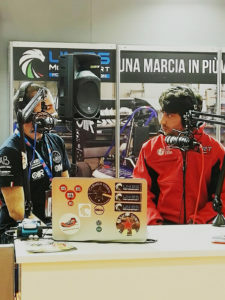 It has been an informal interview about our experience in Formula SAE, about the organization of the Teams and about the respective economic resources and sponsors. 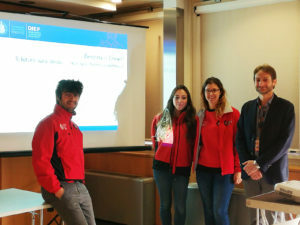 Obviously, the Radio Host did not forget questions related to the project choices and, in our case, the discussion was focused on Driverless issue: our experiences, the structure and characteristics of our autonomous vehicle, how it was realized and finally the comparison from italian team and foreign teams. On Thursday 7th December, two of our colleagues had participated to the Brembo Digital Lab event organized by Polihub in collaboration with the Motorshow organization. The activity was a sort of challenge addressed to stimulate the creativity and the teamworking. After a shortly presentation by the organizer of Polihub and Brembo and the mission of the respective companies, the students were divided in a mixed group. The brainstorming activity started from a scheme that the students had to use to interact between them and find technical-commercial solutions related with the mission of Brembo Company. Then the groups had to formalize the idea and to present it to the participants and judges. 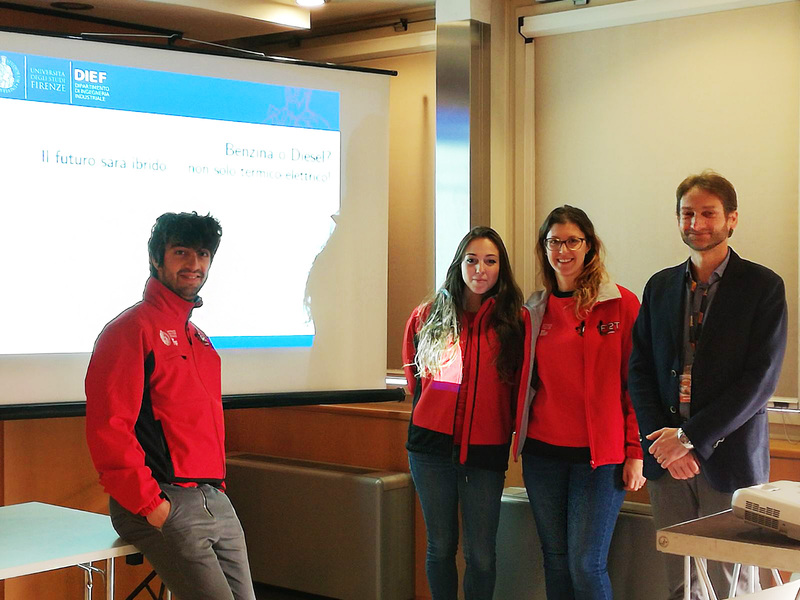 Our Firenze Race team colleagues had developed an idea based on an App that had the goal of control the life-style on board of drivers in a way to guarantee the best street-safety. If the drivers were correct on their way, the customers would have obtained the bonus-points to spend on Brembo products. 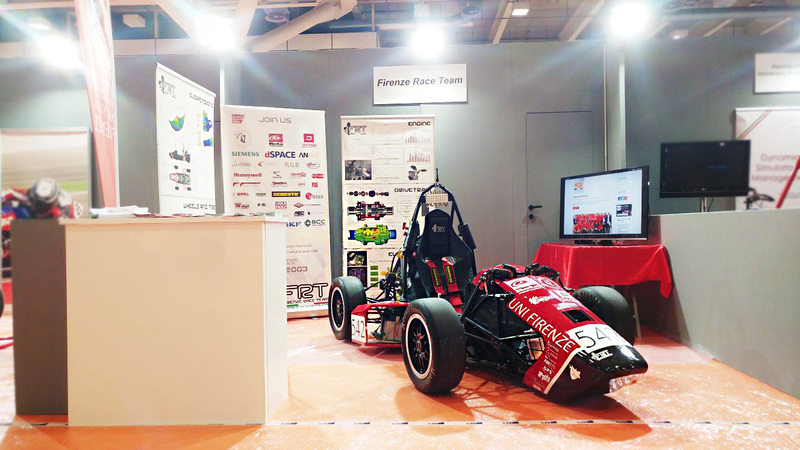 Between lessons and events, the Team Members worked hard in the exposition of the vehicle. During the 10 days, many and many visitors have been attracted by our Formula vehicle. Many interested discussions started from the questions and curiosities and objection of visitor; and many were the contacts with the automotive sector company, that give us good feedbacks and the showed the intention of create a partnership with us. Finally, general questions about our University and our relation with the University and about the Educational Path of our University were not lacking. 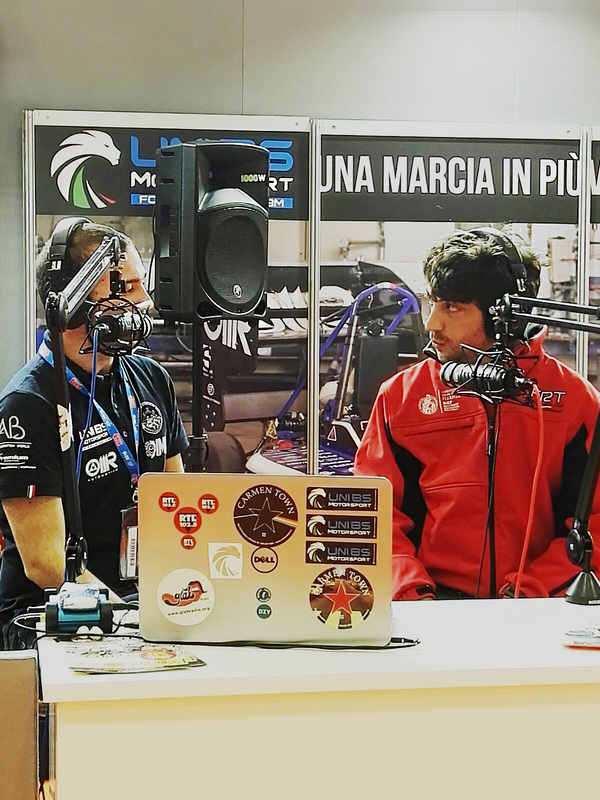 The experience at the MotorShow has been incredibile: the possibility of comparison with the visitors and the possibility of astonishing the people with the work that we did, as well as compare and collaborate with the other members of Formula SAE created cohesion and new friendships. Also many people from the Motorsport World visited our stand: Michele Pirro and Marco Lucchinelli, for example. Unfortunately, the days flied away and we already feel the melancholy of the familiar atmosphere that we could breathe at Motorshow. 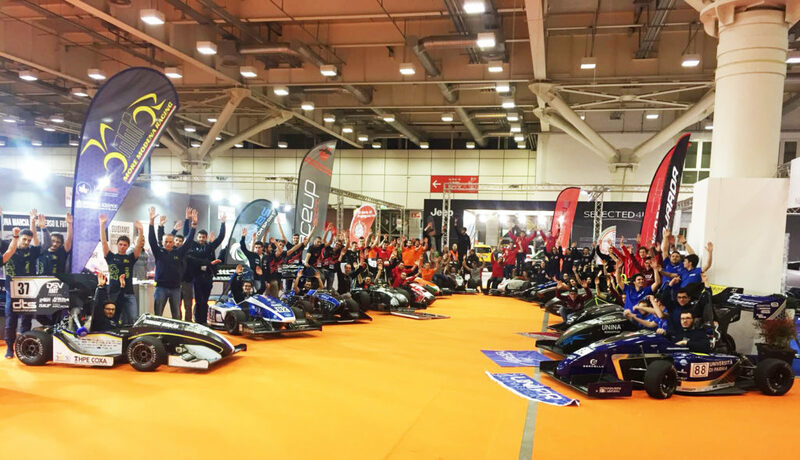 We would like to thank our University, our Professors, all italian Teams, the Organization of Motorshow, Polihub and all Visitors that made this experience AMAZING.